We are having a heat wave here in San Diego. Temperatures will be close to 100 in my area of town. Thoughts and prayers go out to all in Texas dealing with the rain and flooding. 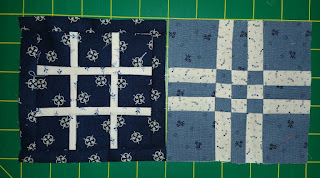 This week I will be working on more of my Dear Jane blocks. I am working on the paper pieced blocks, some with applique, and have them lined up and ready to go. 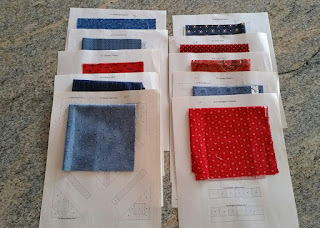 Paper piecing ready to go! 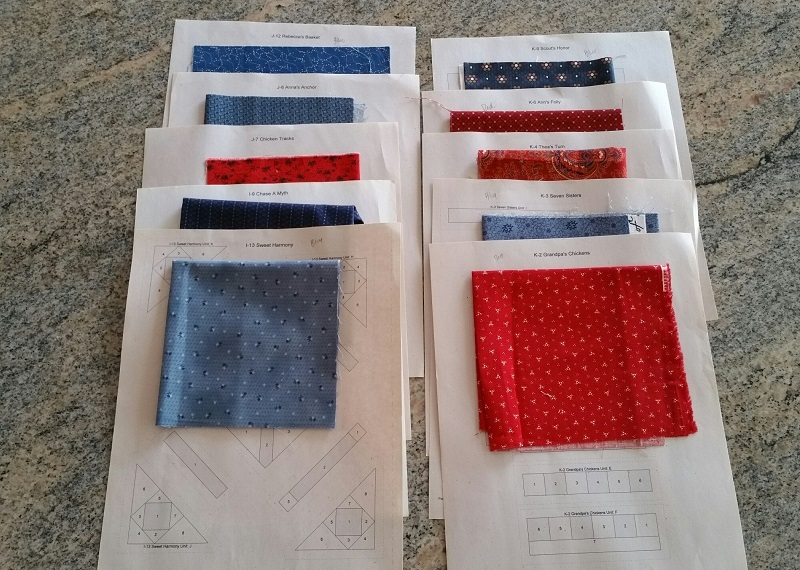 Below are the finishes from yesterday. 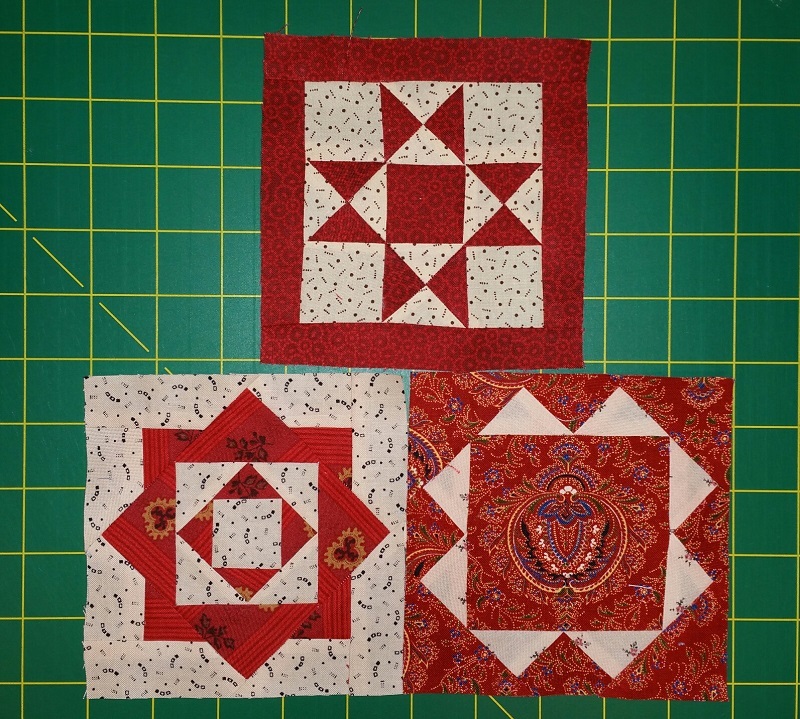 I hope to have my Dear Jane Quilt finished, (or at least the top finished) by the time the next DJ Cowgirl Round Up rolls around in late June of 2018. Later this week I will be starting on one of the three UFO's I have left to complete this year. 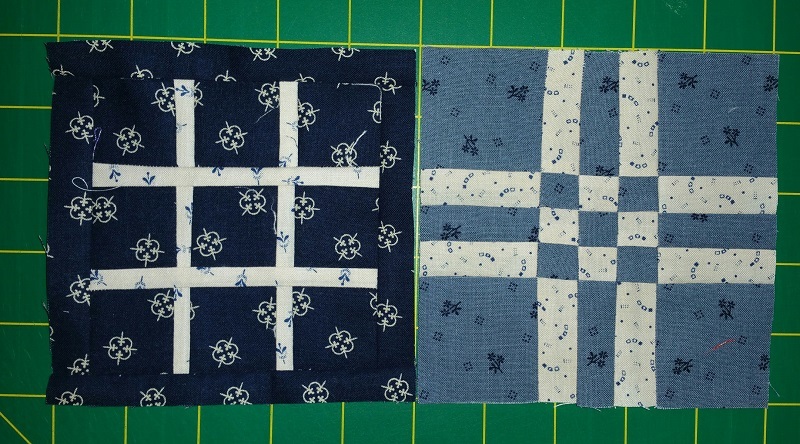 In between I have two baby quilts to make. Busy week ahead for me!